THE night Stormont caught fire, no one noticed until it was too late. The blaze started in the belly of the hilltop parliament building early on January 2, 1995, but the flames went undetected for hours. Patrolmen thought the strange smell was from new lagging on the heating pipes. When emergency crews eventually arrived they found the gate to the estate was locked and later discovered the building's fire hydrant had no water supply. The failure to introduce basic safeguards against fires cost Stormont dearly. You think they would have learned. More than 20 years later the now infamous Renewable Heat Incentive (RHI) scheme has done far more damage. More than £400 million of public money could go up in smoke because of a failure to cap government subsidies on operating green energy boilers. Now Sinn Féin has collapsed the power-sharing Assembly over DUP links to the RHI scheme, forcing elections. The fire of '95 had political implications too. Stormont had been mothballed for most of the Troubles, so the timing of the blaze fuelled conspiracy theories, coming six months after the IRA ceasefire of August ‘94. Damage was largely confined to the debating chamber, closely associated with the era of unionist rule. The DUP feared a plot to erase history for the benefit of nationalists involved in fledgling political talks. A younger Peter Robinson demanded the chamber's British symbols be restored, but the old Stormont never returned. Now the new chamber, with its neutral emblems, will see the lights turned off after ten years of power-sharing government between unionists and republicans. There is a real risk that it could be years before it’s back, because the current crisis runs much deeper than the so-called 'cash for ash' scandal. Despite honest efforts by many at Stormont, it will be remembered as a missed opportunity, which failed too many communities too often. There were insider allegations of a sectarian row between the main parties over tackling poverty. 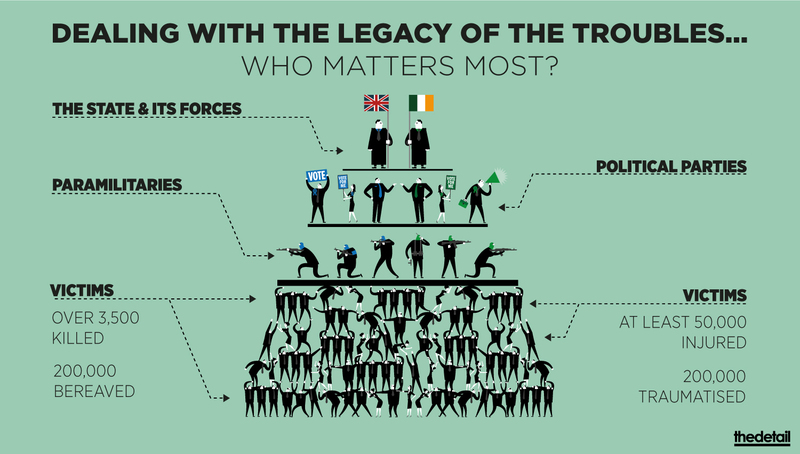 Political battles over the legacy of the Troubles trumped the needs of victims and left ongoing paramilitary violence unchecked. 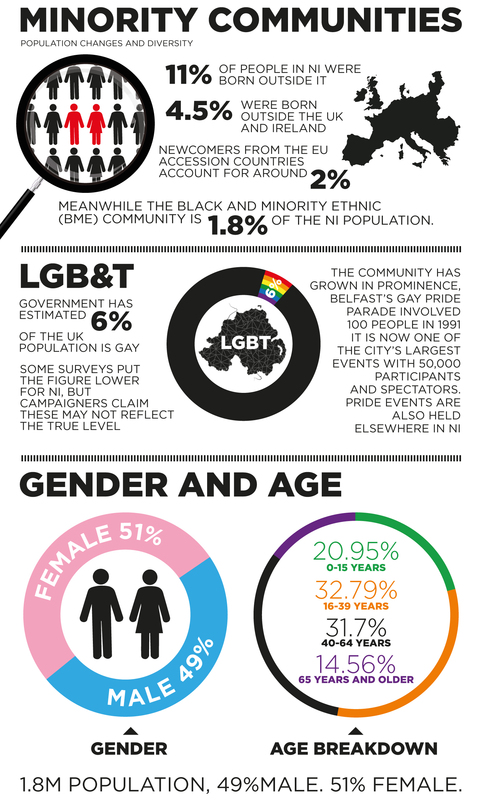 Years of delay in delivering a government Racial Equality Strategy was an affront to ethnic minorities. Marriage equality was withheld from gay couples. Loyalist communities saw no effective response to the issue of educational under-achievement, while rows over loyalist parading ignored positive data. Grassroots nationalists saw a denial of “parity of esteem” for the Irish language and identity, while they also raised concerns over deprivation, infrastructure and job investment in their areas. Sinn Féin’s hiring of former IRA prisoners into publicly funded posts sparked controversy, particularly within unionism, as did the party’s use of £700,000 of Assembly funds for research costs. But the biggest political battles were played-out behind closed doors. The DUP/Sinn Féin partnership in government was a kind of political close-combat which could have toppled Stormont at any time. 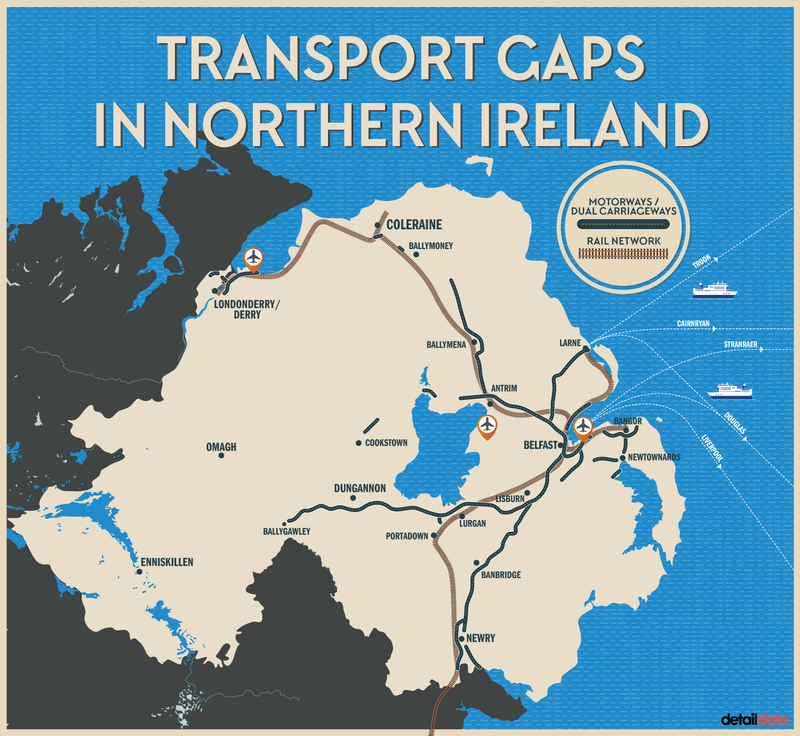 Many believed that when Sinn Féin’s political project south of the Irish border was sufficiently advanced - preferably with it in government in Dublin and Belfast – it would have pushed for change. The DUP’s agenda was to cement itself as the voice of unionism, and broaden the acceptance of the Union in an era of a dwindling unionist majority, while persistently vetoing Sinn Féin's plans in government. But both parties played a long game - even giving each other cover when they needed it - so that they could continue their Cold War. Then the DUP repeatedly became embroiled in financial controversies, including the public contracts for the Red Sky firm, the political earnings of the ‘Swish family Robinson’, plus the political handling of the £1billion Nama property deal. Peter Robinson had acknowledged that demographic shifts were removing unionism’s once unassailable majority, but vital plans to reach out to nationalists were derailed. The negative publicity over financial debacles forced the DUP to instead shore-up its support base by lurching to the right. This cocktail of controversies and missed chances came to the boil under Arlene Foster’s leadership, leaving her to feel the heat. The ease of her victory in last May's Assembly election suggested she was a safe pair of hands, but as The Detail reported at the time, Arlene Foster's leadership hadn't actually been stress-tested at that stage. Peter Robinson installed her as DUP leader in December 2015 without a contest and she was eased into an Assembly election where controversial issues had been helpfully shunted off onto quangos. Her free-run ended when questions were asked about her role in setting-up the infamous RHI scheme. When she said that a government minister couldn’t be expected to be across “every single jot and tittle”, it was a 'let them eat cake' moment that set the tone for the rest of her doomed year in office. She quickly emerged as a creator of crises. There was 'cash for ash', 'cash for loyalists', 'no cash for legacy inquests', and then Brexit: 'no EU cash for anyone'. Despite his past as an IRA leader, Martin McGuinness walks away with his political legacy secured, for challenging dissident republicans and for his consistent outreach to unionism. But with the crisis-hit DUP in danger of losing a quarter of its 38 seats, Mrs Foster’s leadership is on the line. 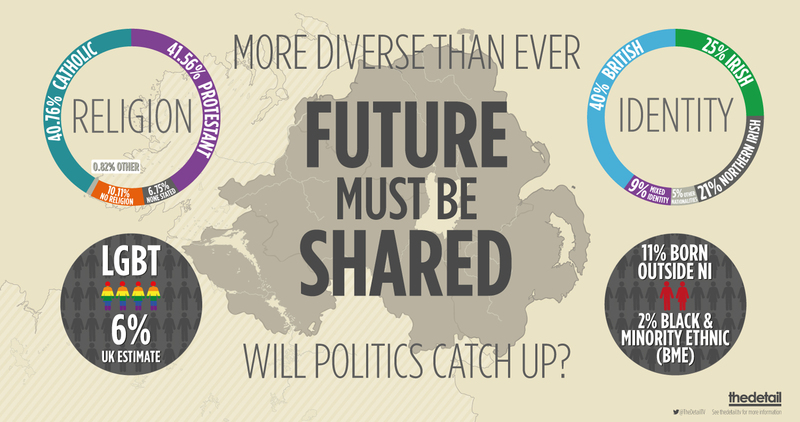 In the high-pressure election campaign, Sinn Féin will push the equality agenda it saw frustrated at Stormont, while the DUP must battle to hold its position. An early return of the Assembly is theoretically possible. But what is more likely is that Sinn Féin has embarked on a longer gameplan, seeking a new constitutional settlement as part of Britain’s hard exit from the European Union. Republicans' hardball tactics could hit a wall, but for now it is the DUP that is on the defensive. For ten years it boasted of running rings around Sinn Féin at Stormont, but suddenly the DUP looks like it was just travelling in ever decreasing circles. 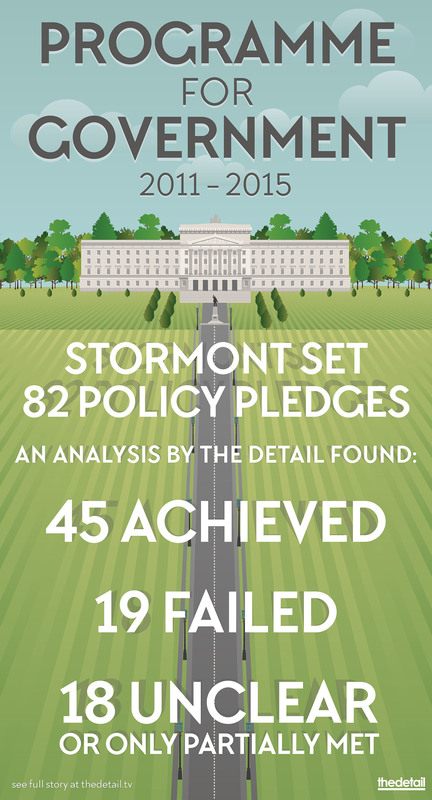 Stormont was heading for a crash for a long time, but no one noticed until it was too late.